What was happening in the small court town of Haverhill, NH. on this day in 1793? Even the wealthiest man in town, General Montgomery, would run afoul of the church leaders, for riding on the Sabbath, and was called upon to ask forgiveness. 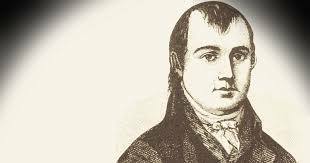 Church records observed that: "Brother John Montgomery sent in a confession to be read in public for his transgression in riding on two occasions on the Lord's day, with humble acknowledgement of his sin which was accepted. " On the following day, the shop was open as usual, ready to supply the townspeople with nails, grains, textiles, leather, buttons, coffee, and spirits. The material in this post is from my next book project. 1. 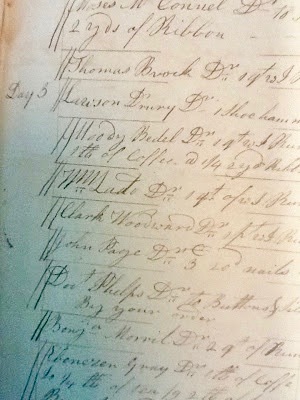 General Montgomery’s 1825 Grafton County probate inventory records that he held one pew (No.4) in the South Meeting House, lower floor, valued at $30.00 and also one in the gallery (No. 25) valued at $4.00, most likely for his clerks or apprentices. 2. Rev. 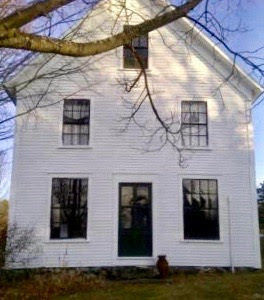 Smith was installed as pastor on 25 January 1792 and his requested "dimission" was in 1799. While gathering many new families to the Church, Rev. Smith's tenure was not with its troubles. Indeed, he was considered to be relatively strict and unyielding in his expectations. 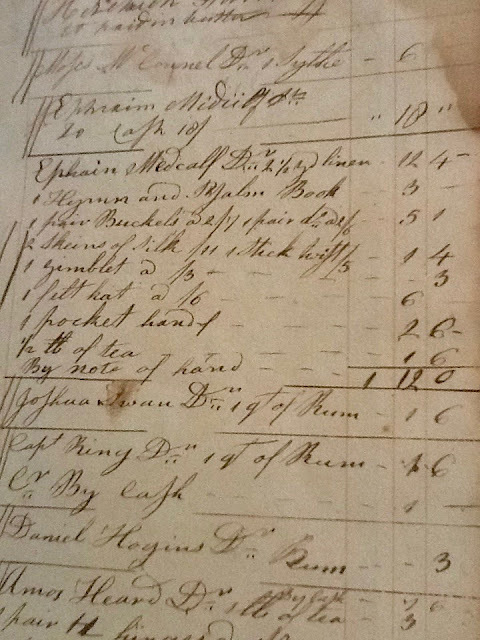 The townspeople were taxed £40 for Rev. Smith’s ministry and some would not pay this tax, citing the fact that the church was catering to the Piermont side of the town, among other reasons.